i love white cards and sometimes i really love cards with lots of white space. 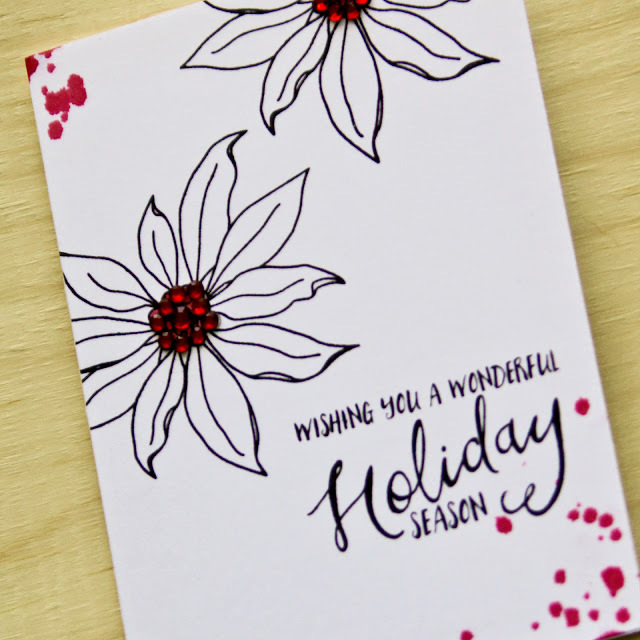 the essentials by ellen clear stamps mondo poinsettia by julie ebersole is such an unbelievably beautiful set, it doesn't need much else! -to create this card was so easy! 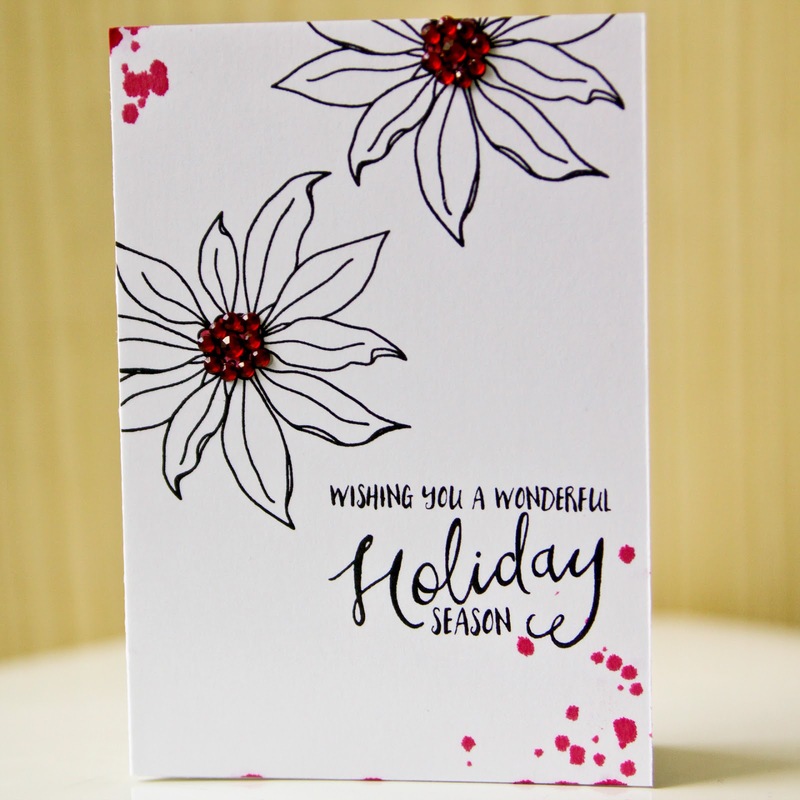 i stamped the small poinsettia from the set twice in versafine oynx black. -i colored the middles of the flowers with a little bit of lobster red. and while i had lobster red on my craft mat and paint brush, i added some splatter on the edges. -i stamped the sentiment from the essentials by ellen clear stamps, mistletoe & holly set. -finally i finished by adding red rhinestones to the poinsettia middles. super fun sale at ellen hutson llc!